Comments: This shrub rose produces bright white single flowers with yellow stamens. The flowers are borne in large clusters. 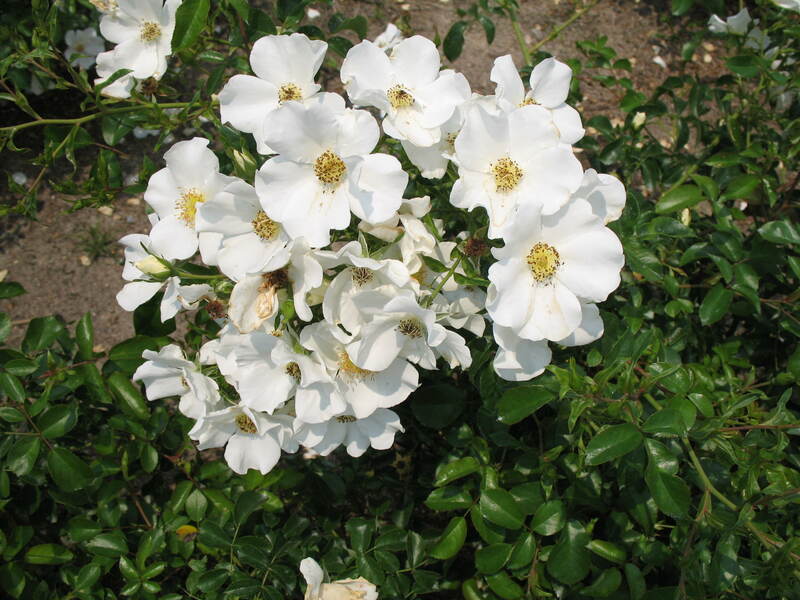 It makes an excellent shrub rose and is especially appropriate for gardens where white flowers are featured. Sometime used as a ground cover if plants are pruned severely.